Q1. How sdiff command works? Q2. How to make sdiff ignore case? Q3. How to make sdiff ignore spaces? Q4. How to make sdiff ignore blank lines? Q5. How to make sdiff suppress common lines? Q6. How to make sdiff use a different diff program? Here at HowtoForge, we have already discussed multiple command line utilities that are focused on finding file differences. But there are several more such tools, and in this tutorial, we will discuss on such command dubbed sdiff using some easy to understand examples. Please note that all examples mentioned in this article have been tested on Ubuntu 16.04 LTS. Following are some Q&A-styled examples that should give you a good idea on how this tool works. file1 and file2 were exactly same in my case. This type of output means there's no difference in files. 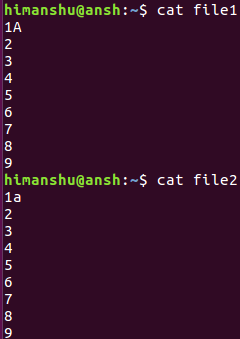 The pipe (|) in the first line in the second column indicates the two files are different in the very first line itself. However, if you want, you can force sdiff to ignore case, something which you can do using the -i command line option. 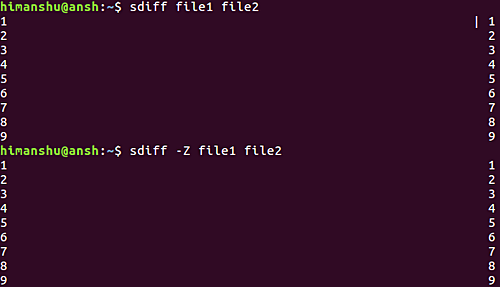 So you can see the output now shows the two files to be identical, meaning the case difference was ignored. However, you can make the command ignore blank lines by using the -B command line option. So you can see the sdiff command didn't consider blank line as a difference in this case. 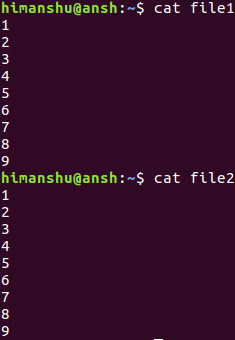 Suppose the files contain some common lines, and you want the sdiff command to suppress common lines, then you can do this using the -s command line option. By default, sdiff uses diff to carry out the comparison. However, if you want, you can even replace diff with the program of your choice. To do this, use the --diff-program option which requires program name as input. The Sdiff tool might offer a lot of features, but it's learning curve isn't that steep. All you need to do is a bit of practice, and you should be good to go. We've discussed the majority of command line options here. For more, head to sdiff's man page.